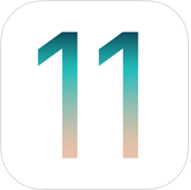 The iOS always sets a new standard for what is already the world’s most advanced mobile operating system.Introduced on June 5, 2017, at the Worldwide Developers Conference (WWDC), iOS 11 is the next-generation version of iOS.It makes iPhone better than before. It makes iPad more capable than ever.With iOS 11, iPhone and iPad are the most powerful, personal, and intelligent devices they’ve ever been. Focus on iOS 11’s new features for iPad, the redesigned Control Centre along with the redesigned App Store.Apple also spoke about how iOS 11 will have a lot more focus on machine learning and announced a special ARKit to help app developers create augmented reality apps and here’s a quick look at the some of the details that are now starting to come out. Peer-to-Peer Payments: Apple announced its Venmo competitor during WWDC, too. It will let you use Apple Pay to send money right to another person through iMessage. New App Store: Apple is completely redesigning its app store. It seems more focused on presenting fewer, high-quality apps instead of a list of applications to dig through. There’s a new section dedicates to Games, and entire sections curated by humans. It should make finding great apps much easier. Special ARKit: iOS 11 gives Apple the largest AR platform in the world – overnight, thanks to so many iPhones and iPads out there. It’s an instant boon for augmented reality fans and developers alike. Siri improvements: Apple’s going to be beefing up Siri in iOS 11, but it hasn’t really provided a ton of details as to what’s exactly coming. You can now ask Siri to translate English to Chinese, French, German, Italian, and Spanish. Apple plans to expand translation languages over the coming months. Apple iOS 11’s public beta will soon be out for users, by the end of the month. The final build will only be launched in fall, after the iPhone 8 has been introduced.Apple iOS 11 beta is currently available for developers.